A biographical folk song about 20th-century U.S. labor movement organizer Elizabeth Gurley Flynn and the response of middle-class liberals and the ACLU to her imprisonment by U.S. government at Alderson federal prison in 1950s. Could be won, she said, with socialism. Inspired Paterson strikers to risk arrests. When they jailed Elizabeth Gurley Flynn? To lock her up in Alderson. Of thousands whose imprisonment was wrong. Yes, in her 60's she was jailed for "conspiracy"
In 1979 I was invited to Libya to take part in a conference on Palestine with the moniker ‘The Conference of Tripoli on Imperialist, Zionist and Reactionary Scenes against the Arab Nation, the Danger of these Schemes to the Vital Interest of All Nations and to the Problems of Peace and Liberation all over the World’. Not the most popular subject in Australia, but of interest to me because I believed the Palestinians got a spectacularly rotten deal when the world salved its conscience by giving away their land after WW2. It took place six years after the Yom Kippur War, a year after the ‘Camp David Agreement’ and a year before the Israeli Knesset (parliament) passed a new law proclaiming Jerusalem the ‘eternal capital of Israel’. The conference was well organised and extraordinarily interesting. Security was tight, for good reason. Palestinian leaders with a price on their heads using aliases flew in from around the world. Many of their colleagues had been assassinated by Israeli hit squads. Apart from Muammar Qaddafi who opened the conference, I met George Habash, head of the Popular Front for the Liberation of Palestine, and Vanessa Redgrave, the tall, strikingly handsome British actress. And we all rose to our feet to give a standing ovation of welcome to a delegation from the newly elected Sandinista government in Nicaragua, their debut on the international stage. 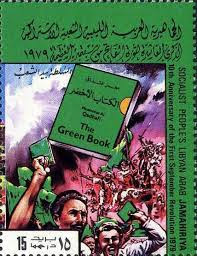 At the start of proceedings we were each given a copy of Qaddafi’s The Green Book, Libya’s answer to Mao’s Little Red Book, except the Libyan version was much longer. In it Qaddafi called parliamentary democracy a sham where voters ‘stand in long queues to cast their votes in ballot boxes in the same way as they throw other papers into the dustbin’. Quite a few would agree with that. 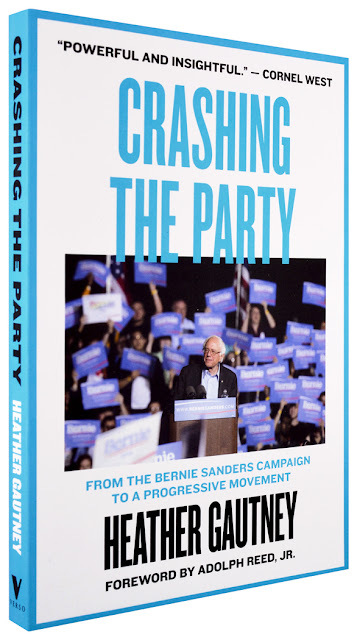 He preferred direct popular participation in people’s congresses – a notion not too far removed from the slogan of Russia’s 1917 October Revolution, which called for ‘all power to the Soviets’ (local committees) – even though that slogan later bit the dust. On the second day, I gave a paper titled ‘The Impact of US Imperialism on Australia’. Thanks to a hostile media, I doubt if many would associate Libya with art and architecture, despite it being an archaeologist’s heaven back then. In the centuries before Christ, when Greek supremacy went down the drain after the sacking of Carthage and Corinth, Rome ruled the region for more than eight centuries before it lost control to the Arabs in the seventh century AD. 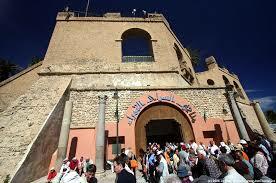 Despite another thirteen hundred turbulent years, many of the ancient monuments survived. Western Libya in particular was richly endowed as I discovered during my tour of Sabratha and Leptis Magna, birthplace of Emperor Septimus Severus. I walked down streets where ruts from ancient chariot wheels were still visible and past the remains of houses where people had lived and worked until the end of the 4th or 5th century. I fingered grooves on a stone counter made by ancient butchers and fishmongers when they sharpened their massive knives and roamed in and out of small shops and stalls that had once sold spices and wines and goods made from leather. But the building that took the cake was the ‘Hunting Baths’ whose domes and vaults had been buried under sand for fifteen centuries. Inside, a series of warm and hot rooms were lined with hollow tiles where hot air from the furnaces passed through, and most astonishing of all was the discovery that the 2000-year-old bathhouse still worked! During my drive to Sabratha I stopped at the Jamahiriya Museum to look at its collection of priceless mosaics and worry whether these magical places and ancient artefacts have managed to survive the savagery and barbarism of the 21st century. "...Today there is indeed...Socialism of all shades: Socialism conscious and unconscious and of the middle-class, for, verily, that abomination of abominations, Socialism, has not only become respectable, but has actually donned evening dress and lounges lazily on drawing-room love-seats...What I consider far more important than this momentary fashion among bourgeois circles of affecting a mild dilution of Socialism...is the revival of the East End of London...It has...become the home of...the organization of the great mass of `unskilled' workers..."
"...The workers are...condemned to a lifetime of unremitting toil...Man knows no more degrading or unbearable misery than forced labor. No worse fate can befall a man than to have to work every day from morning to night against his will at a job that he abhors...He works because he must...Because his hours of labor are so long and so dismally monotonous, the worker must surely detest his job after the first few weeks...In most branches of industry the task of the worker is limited to insignificant and purely repetitive tasks which continue minute by minute for every day of the year...There are only two courses open to the worker. He may submit to his fate and become a `good worker'...or he can resist and fight for his rights as far as humanly possible..."
"...English industry must always have a reserve of unemployed workers, except during the short period when the boom is at its height. The existence of such a reserve is essential in order that labor may be available to produce the great quantities of goods which are needed during the few months when the business boom reaches its climax...The size of this reserve varies with the state of trade....During a slump the reserve of unemployed swells to formidable dimensions. Even when trade is moderately active--in between the extremes of boom and depression--there are still many workers who are unemployed. This pool of unemployed is the `surplus population. '...When they are out of work, these people eke out a miserable existence...If these people can find no work and are not prepared to rebel against society, what else can they do but beg? No wonder that there exists a great army of beggars, mostly able-bodied men..."
"The vast majority of the inhabitants of the great towns are workers...The workers...nearly all live from hand to mouth on their wages. Society having degenerated into a collection of selfish individuals, no one bothers about the workers and their families. The workers are not given the means whereby they can make satisfactory and permanent provision for their families. Even the most highly-skilled worker is therefore continually threatened with the loss of...livelihood and that means death by starvation. And many do indeed die in this way. The working-class quarters of the towns are always badly laid out. Their houses are...kept in a bad state of repair. They are badly ventilated, damp and unhealthy. The workers are herded into the smallest possible space...The clothing of the workers is also normally inadequate. The workers' diet is generally poor...From time to time many workers' families actually go short of food and in exceptional cases they actually die of hunger. "The working classes of the great cities exhibit a variety of standards of living. In favorable circumstances some of them enjoy, at least temporarily, a modest prosperity. Sometimes high wages can be earned...In bad times, however, the unlucky worker may sink into the deepest poverty, actually culminating in homelessness and death from starvation. On the average the condition of the worker approximates much more closely to the worst we have described than to the best...While it is true that particular groups of workers have an advantage over their fellows and are relatively well off, nevertheless the condition of all workers is liable to fluctuate so violently that every single workers is faced with the possibility of passing through the stages that lead from relative comfort to extreme poverty and even death from starvation..."
A labor song and protest folk song about the murder of U.S. labor movement union organizer Fannie Sellins and steelworker Joe Starzelski by Allegheny Steel gunmen in August 1919, nearly 100 years ago. And let me now tell of the murder I seen." And thousands of steelworkers were soon mobilized. With their guns were beating Old Worker Starzelski. Where one deputy beat her to death. 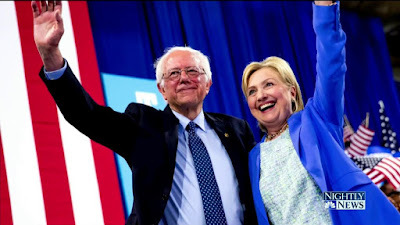 Is 2020 Democratic Presidential Candidate Bernie Sanders Really Seeking A `Revolution' In USA? 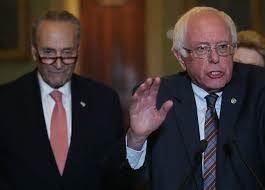 In 2019 some U.S. left activists have apparently been urging folks who want to see a socialist revolution in the USA to work as unpaid volunteers in politically liberal Democratic Party Senator Bernie Sanders of Vermont's 2020 Democratic Party presidential primaries campaign. "In late April 2017, Bernie and [Democratic National Committee Chairperson Thomas] Perez launched a `Unity Tour,'...For leftists...the tour looked like an attempt to herd them into the fold of the establishment..."